The gold price sunk below $1,300 an ounce on Wednesday after the US Federal Reserve threw its nine-year old stimulus programme into reverse and signalled that it could raise rates again before the end of the year. In another day of heavy volumes with over 32m ounces, changing hands on the Comex market in New York spot gold dipped to $1,297.40 an ounce, a three-week low. On 15 December 2008 an ounce of gold would set you back $837.50. On 16 December 2008, three months after the sub-prime financial crisis erupted with the collapse of investment bank Lehman Brothers, then Chairman Ben Bernanke launched the first round of an unprecedented stimulus programme, dubbed quantitative easing. QE pumped as much as $85 billion a month into the struggling US economy and pushed rates to zero. All the easy money sloshing around on financial markets burnished bullion's reputation as a hedge against inflation and as a storer of wealth amid the debasement of paper currencies sending gold to an all-time nominal high above $1,900 an ounce by August 2011. 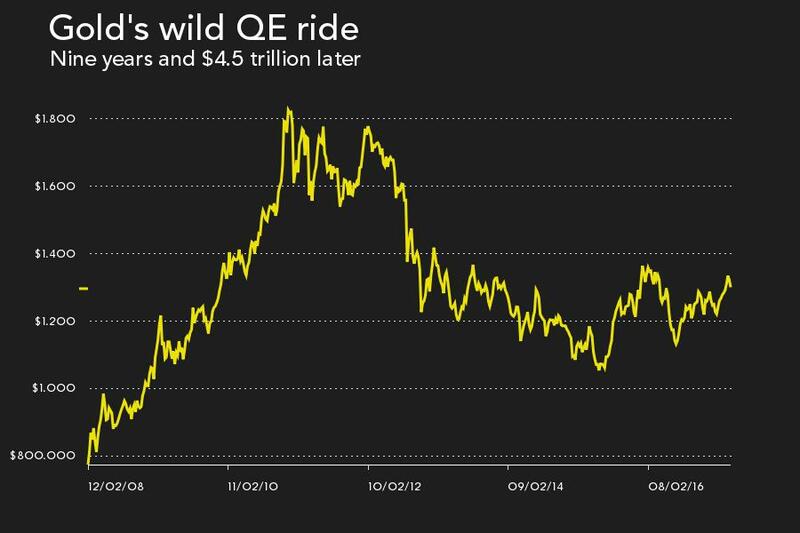 The third round of QE in the US ended in October 2014 after expanding the Fed balance sheet to almost $4.5 trillion, where it still sits today. 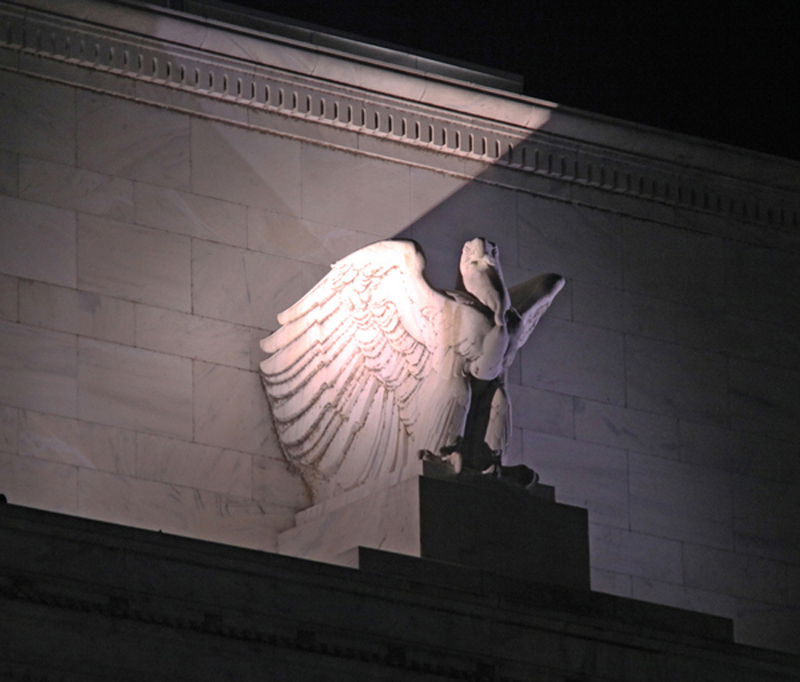 From next month the Fed will unwind its holdings of US Treasurys and mortgage-backed securities at an initial rate of $10 billion a month to a maximum of $50 billion a month. The Fed kept its interest rates unchanged in a target range of 1% to 1.25% on Wednesday, but two-thirds of the policy setting committee deem another 25 basis point rise by the end of 2017 as appropriate. The gold price and interest rates / bond yields usually move in the opposite direction as gold produces no income and investors have to rely on price appreciation to book returns. Higher rates in turn boost the value of the dollar, which has an inverse correlation to the gold price.